The literacy initiative that puts more books in the hands and homes of Amarillo students has established an additional Texas Panhandle chapter. 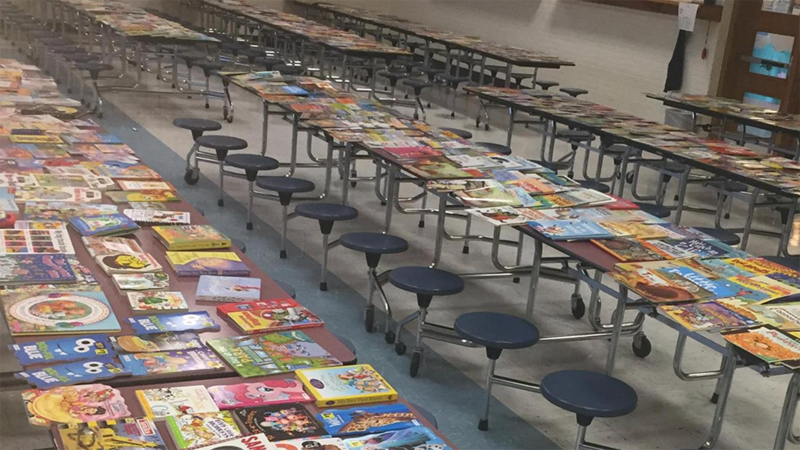 Storybridge Dumas was organized this past summer, and recently garnered enough donated books to host its first giveaway event Nov. 16 at Dumas ISD's largest elementary campus, Green Acres Elementary. The group gave away 880 books to 176 kids, Storybridge Dumas manager Kinsey Bellar said. Under the motto, "Literacy and Justice for All," Amarillo ISD teacher Chandra Perkins launched Storybridge to collect gently used children's books and purchase others with donations, to boost the numbers of children with access to reading material at home. Since its beginning in June 2016, the organization has supplied Amarillo ISD children with more than 51,000 books. Bellar, a teacher at Green Acres in Dumas, and her husband, Marcus, who is an administrator at Dumas High School, both had contributed to Perkins' efforts. "The whole time we were doing that, I kept thinking, 'Oh my gosh, we need that here in Dumas," Kinsey Bellar said. As teachers, the Bellars saw the impact of literacy deficiency in their students, including children lagging in writing ability and literacy skills as a predictor of educational and future economic achievement. When Perkins began working to expand Storybridge into Dumas, Bellar jumped at the opportunity. Through building support through Dumas schools, churches, businesses and other community links, Bellar has established a drop-off location at the Moore County Library and is working on partnerships with other community drives. "Everyone who has heard about it has been very supportive," she said. Click here for more information on Storybridge Dumas.